cause such imbalances. 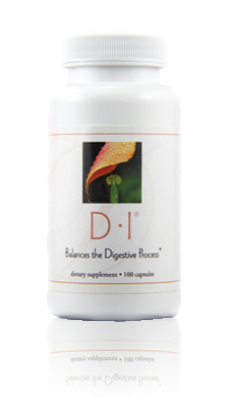 D•I balances the digestive process to help nourish the body and comfort the stomach and intestinal tract. tone and immunity. By supporting proper protein metabolism, we help maintain our youth and vitality. Digestion is fueled by the energy from enzymes produced by both our body and our foods. Each of these enzymes requires a specific pH to work, which means we need adequate levels of acid in the stomach and bile in the intestines. Unfortunately, most people rely on acid reducers to provide temporary relief when they experience indigestion. 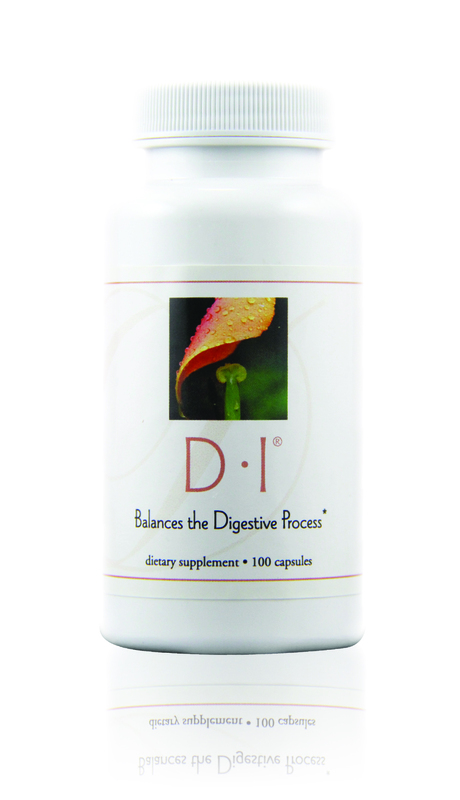 D•I is formulated to correct imbalances in the digestive process rather than simply shut down acid production in the stomach.